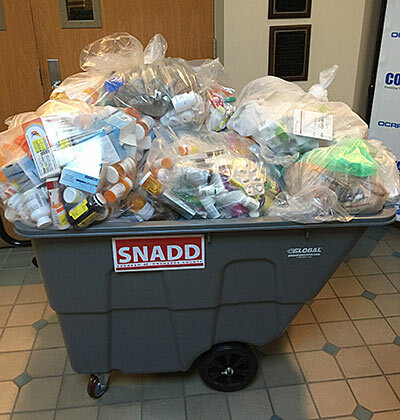 Recently, a media advisory was held at Covanta’s Jamesville headquarters to call attention to the SNADD (Sharps, Needles and Drug Disposal) Program, Onondaga County’s safe medication disposal initiative. 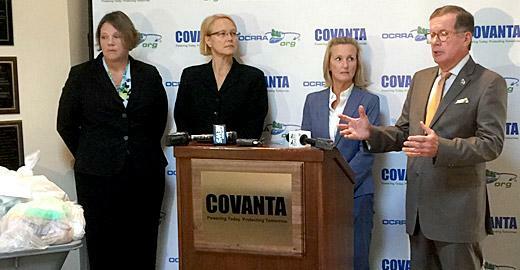 Onondaga County Executive Joanie Mahoney and District Attorney, Bill Fitzpatrick were invited speakers along with Kathleen Carroll, Covanta and Dereth Glance, OCRRA commenting on the importance of safe medication disposal. To date, the program has collected 4,080 pounds of medication; thereby, reducing the availability and the accessibility to dangerous drugs in our homes and on our streets. Monthly, investigators from the District Attorney’s office collect meds at each participating site and then take them to the Covanta plant for incineration.